With a stay at Robinhood Resort, you'll be centrally located in Big Bear Lake, within a 10-minute drive of Snow Summit and Pine Knot Marina. Featured amenities include complimentary wired Internet access, a 24-hour front desk, and coffee/tea in a common area. 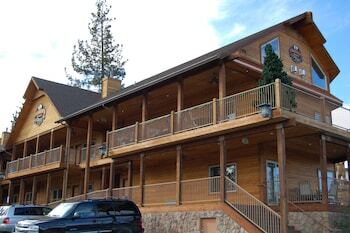 Planning an event in Big Bear Lake? This hotel has 900 square feet (84 square meters) of space consisting of conference space and a meeting room. Free self parking is available onsite.